Originally known as cirgers with talents such as embalming, creating wax models as well as candles and seals, the wax chandlers as they became known from 1330 is one of the smallest guilds in the city of London, with just 120 members in the 21st century. There is mention of the trade as early as the 1st century. The majority of wax chandlers died during the black plague, 1348-1350 the most dangerous time to be an embalmer. They were of course much larger in the middle ages and very important as their status of being the 20th guild implies. In all there are 110 guilds. The first place is held by the Worshipful Company of Mercers. 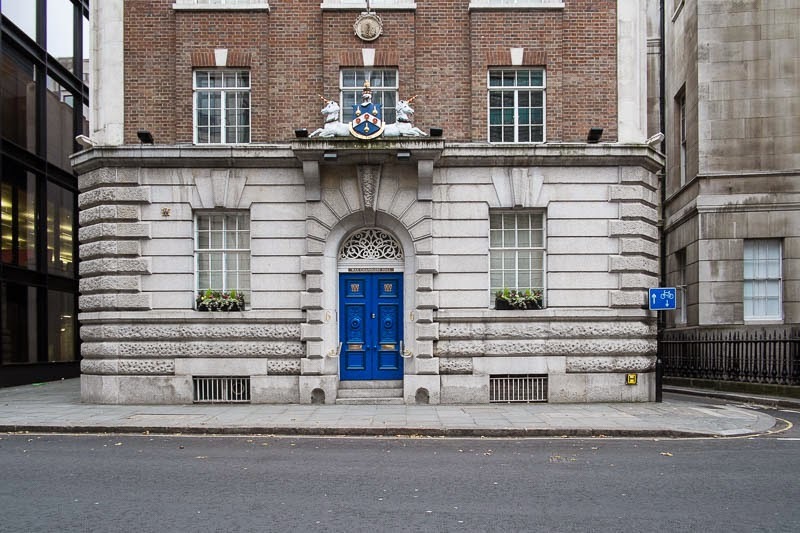 The current building of the Worshipful Company of Wax Chandlers is on the same site they have occupied since 1501. This, their 6th building was substantially rebuilt in 1954 after damage during WWII. I've learned something new today. We have a city near Phoenix named Chandler named after a city father but, I had never heard that word used any other way. I had no idea it referred to someone who made things from wax. It's a very old profession. I wonder what they do these days! You need some rural bloggers! You referred to me as "Her!" Well lets have more from hers ooop North! I've heard of the term Chandler in terms of candlemaking, but that particular guild name's quite a formidable sounding one! With ebola frightening everyone these days, I would resign from the chandlers guild ASAP. What a grand looking little place, with a very interesting past.